To apply for a ME driver's license, you must visit a BMV office and present various documents and pay the required fee. You must have a driver's permit and pass the written test, vision exam, and driving exam. 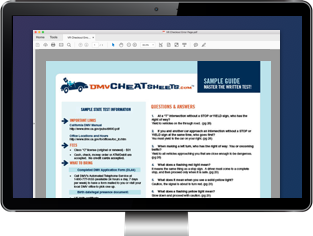 This page will help you get on the road with your first driver's license from the Maine Bureau of Motor Vehicles (BMV). NOTE: If you're a younger than 18 years old, please follow the instructions on our Applying for a New Teen License in Maine. Legal U.S. presence (e.g. U.S. birth certificate, U.S. passport, foreign passport and I-94 print out). Maine residence (e.g. utility bill, paycheck stub, lease agreement). Surrendering your out-of-state driver's license. Your written and road tests will likely be waived as long as your out-of-state driver's license is valid. Class A and B: Commercial driver's license (CDL). Class C: Standard driver's license. If you'd like to ride a motorcycle, you won't need a different license class, but you'll need to apply for a motorcycle endorsement. The Maine BMV also has an instruction permit that you must apply for in order to practice driving without a driver's license. If you're younger than 18 years old, you have additional requirements to meet. Please follow the instructions on our Applying for a Teen License page. A lawful resident of Maine. Have held an instruction permit for at least 6 months. Complete 70 hours of driving practice (including 10 hours at night). See our Behind-the-Wheel Training guide for more information. To provide your Social Security number (SSN). If you're ineligible for a SSN, you must provide valid immigration documents. 2 years, if you're younger than 21 years old. 1 year, if you're 21 years old or older. Under 65 years old: $30 (for 6 years). 65 years old and older: $21 (for 4 years). You must pass both a written knowledge test and driving exam in order to get your Maine driver's license. Your written knowledge exam will be based on information found in the Driver's Handbook. You will need to answer questions about local traffic laws, safe driving technique, highway signs, and other topics. An excellent source of preparation for the knowledge exam is to utilize an online practice test from our certified partner. These tests will help you pass your exam on your first attempt and they even guarantee your success. Once you've passed your written exam and vision exam, you will be able to take your driving test. During this test, you will need to demonstrate your ability to safely handle your vehicle on public roads. You will need to maneuver your car correctly and obey all traffic laws. Contact the Maine BMV for more information about your driver's license tests.